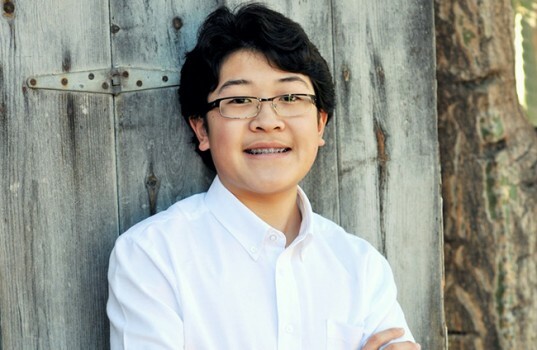 AJ Takata, a Dana Point resident and eighth grader, has attended St. Anne School in Laguna Niguel since preschool. AJ has represented St. Anne at the Orange County Science & Engineering Fair the past two years and was awarded First Place in Physical Science last year, and First Place in Zoology the prior year. His projects competed at the California State Science Fair both years. Last year’s project, “Renewable Energy from Ocean Waves Using Piezoelectric Crystals,” caused AJ to be named a Broadcom Masters national semi-finalist. AJ is a four-year member of the St. Anne Future Problem Solvers team where, after analysis, teams design solutions for futuristic problems using research, critical thinking, creativity and teamwork. 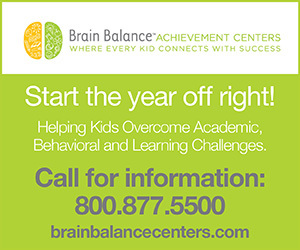 AJ has been on the Principal’s Honor Roll every semester and he is a member of the National Junior Honor Society. He is a St. Anne WEB Leader (a group of eighth graders who lead activities with students in lower grades to foster community), and he is a Student Consultant to the Student Life Committee of the St. Anne School Board. Being an active member of the St. Anne community has also caused AJ to be a caring member of the community at large. Along with three other classmates, AJ has led the Operation Christmas Child project at St. Anne School for three years. Shoeboxes are collected, filled with gifts for children in desperate conditions, and distributed worldwide by Samaritan’s Purse, a ministry led by Franklin Graham. Over 1,500 shoeboxes were filled by St. Anne students in three years. AJ has avid interests in video games, piano, running and writing. He hopes to attend Orange County School of the Arts for high school and college at Washington University in St. Louis, after which he plans to become a novelist. 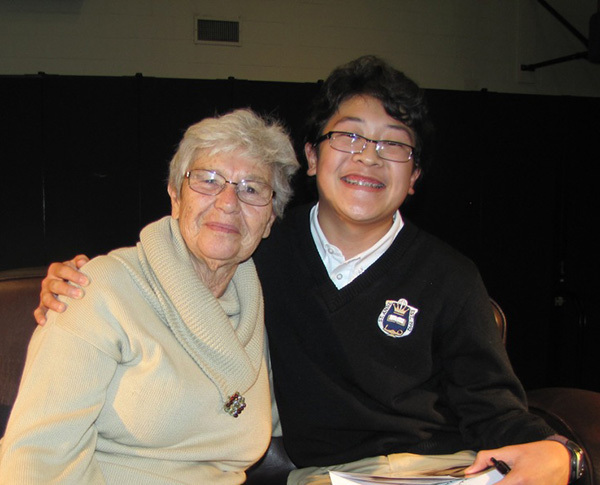 In November 2013 AJ was the student host for Holocaust survivor Ruth Treeson, who came to St. Anne to speak. AJ was deeply moved by his experience spending time with her. As fate would have it, just three days after her visit to St. Anne, Ms. Treeson passed away. AJ’s mother shared that during their time together Ruth convinced AJ that poetry was worthy of his consideration. Upon learning of Ruth’s passing, AJ wrote his first “official” poem, addressed to Ruth’s husband, Emil. Emil was so touched that he asked AJ to read it at Ruth’s memorial service to a full house in Laguna Woods in January. We share it with you both in honor of Ruth, and in commendation of the quality of AJ’s efforts and character.